How many people keep their calendar electronically? How many people use another style calendar; pocket/purse, wall, or other written? How many people have a similar format for keeping their prayer requests? – If you forget an appointment people notice; but not many notice if you don’t pray. 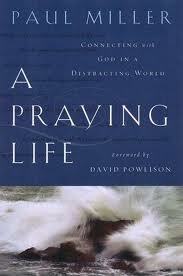 – It takes time and effort and the bottom line is we don’t value prayer to the level of other forms of work. How do I disciple him? 1. Scatter Seed: Pray intentionally and without ceasing (like breathing). When we scatter the seed of prayer we are expressing our faith and trust that God hears, cares and responds. 2. Seed Sprouts: After praying we watch and wait; which is not passive but active. It’s the idea that we pray as though it all depends on God and we work as though it all depends on us. 3. Harvest: God responds to our prayers and we must discern his answers to reap what he wants to bring about in our life and in the life of others.